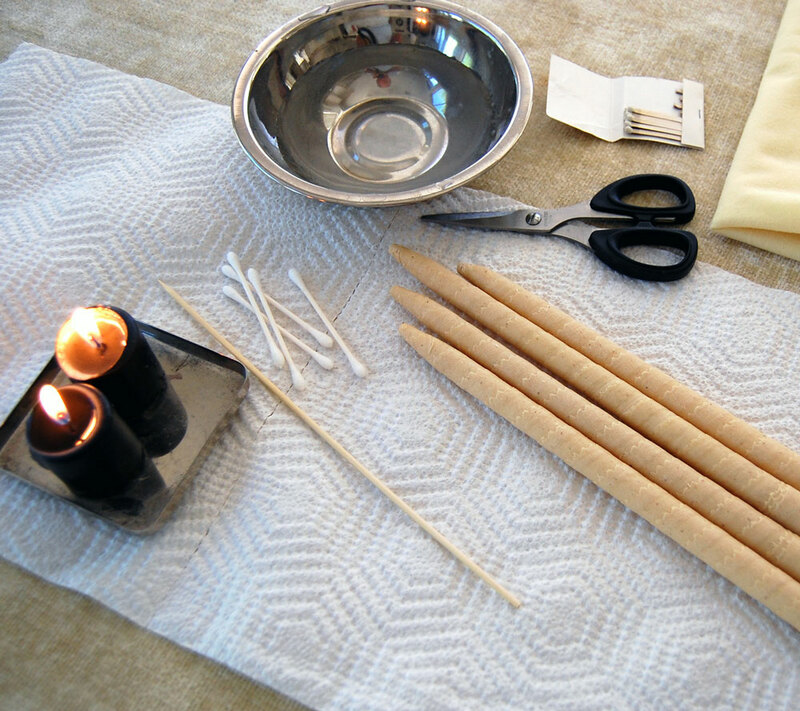 Hopi ear candling originates from medical ceremonies performed by Native American Indian tribe known as the Hopis or Peace People. The candle is actually a hollow lined cotton tube, impregnated with beeswax, honey and therapeutic oils. Hopi ear candles act like a chimney, drawing away the vapour and any impurities from within the ear. Hopi ear candles may not be the first thing that you think of to treat ear, nose and throat problems, however the candles are used to treat many ailments, including migraine and headaches, glue ear in children, catarrh, sore throats, sinusitis, tonsillitis, flu and excessive ear wax. The treatment is suitable for children and is good alternative for people who have found syringing uncomfortable. The client remains fully clothed at all times, but may wish to remove jewellery or loosen tight clothing. The client lies down on their side on massage couch, with their head supported on a pillow so that the auditory canal is vertical. The ear candle is inserted into the outer ear canal, and the end that is furthest away from the head is lit. Each candle has a burning time of approximately 10 minutes, and is held in place at all times by the therapist. 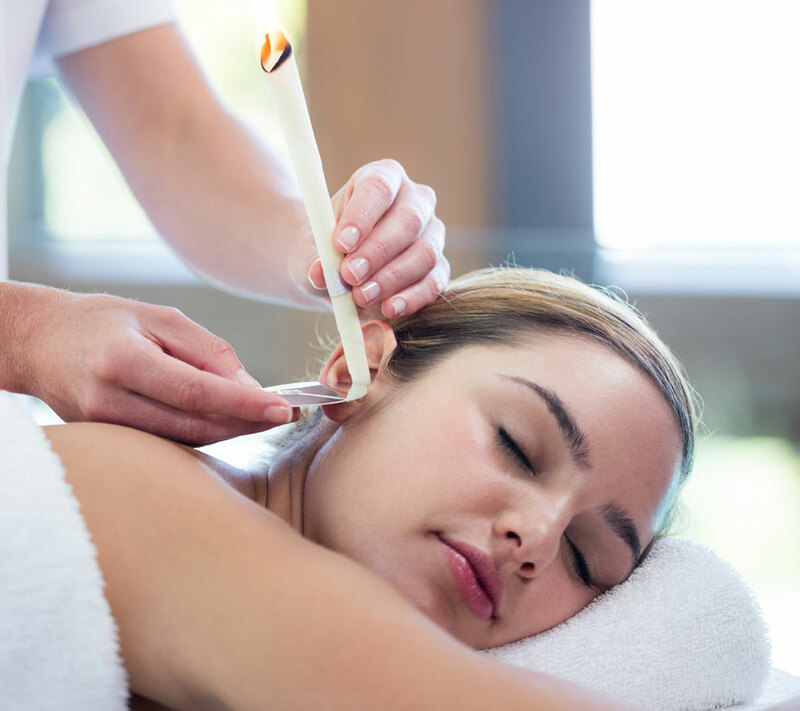 When the candle is burning, a light suction action is created, and the movement of the flame creates a vibration of air in the candle, which generates a massage-like effect on the eardrum. This generates a pleasant ‘cracking’ sound. This is a pleasant feeling, and helps to balance the pressure in the ears, forehead and sinuses. Usually the relief from pain and pressure is instant, however sometimes relief occurs during the 2-3 days following a treatment. Hopi ear candles should not be used if there is any inflammation or infection in the ear and are not suitable for people who had recent ear surgery or those with ear grommets or tubes, perforated ear drums, or allergies to any products in the candle. Anyone who is receiving medical treatment for any ear condition should always consult their doctor first. Some clients may experience headaches or light popping in the ears after treatment.